Washington Square Films director Alison Klayman’s latest and highly-buzzed Steve Bannon documentary THE BRINK made its theatrical debut across the U.S. on Friday, May 29. 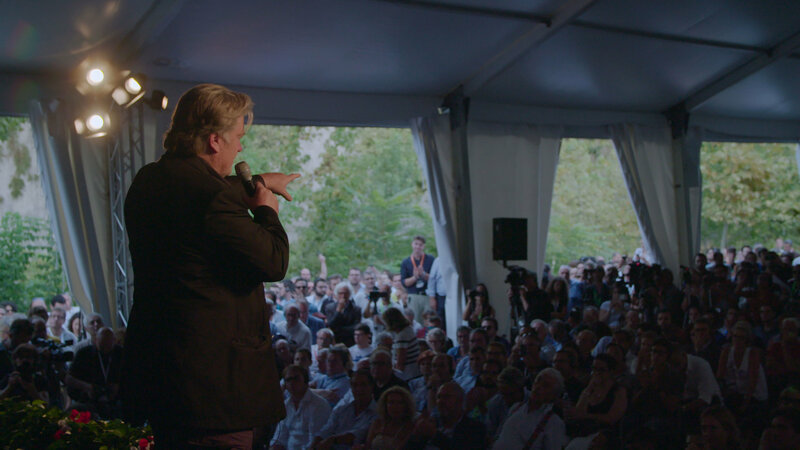 After its Sundance Film Festival world premiere and CPH:DOX international premiere, praise quickly mounted for the documentary’s fly-on-the-wall transparency and clear, uninterrupted capture of the controversial political figure and former White House chief strategist Steve Bannon. Klayman was granted near-total access to Bannon throughout filming for an unprecedented glimpse at his personal opinions and outward views of society. Summary: THE BRINK follows Bannon through the 2018 mid-term elections in the United States, shedding light on his efforts to mobilize and unify far-right parties in order to win seats in the May 2019 European Parliamentary elections. To maintain his power and influence, the former Goldman Sachs banker and media investor reinvents himself—as he has many times before—this time as the self-appointed leader of a global populist movement. A keen manipulator of the press and gifted self-promoter, Bannon continues to draw headlines and protests wherever he goes, feeding the powerful myth on which his survival relies. Klayman’s documentary work has been recognized with awards and box office success. Her directorial debut Ai Weiwei: Never Sorry earned a US Documentary Special Jury Prize for Spirit of Defiance at Sundance Film Festival 2012. The film went on to be shortlisted for an Academy Award, nominated for two Emmys, and earn Alison a DGA Award nomination and an appearance on The Colbert Report, among other honors. Take Your Pills, a Netflix original feature documentary, premiered at the 2018 SXSW Film Festival and can still be viewed on the platform. Find theater tickets for THE BRINK in your local area HERE.